Earliest record seen 1779 Auction Prospectus when Sarah Pinn, widow, had a 99 year lease on Dwelling House, barn and orchard in Otterton, described as part Dillings and late Jno. Rugg. Rent 1/- per annum. It was on a lease with “lives”, ie. When Sarah Pinn died the lease would pass to the oldest of the lives. On that persons death it would pass to the next and so on until the last life died when the lease ended regardless if the 99 year period had been reached. The property then returned to the Estate. In practice when one life died the Estate could ask for a further life to be added to keep the lease running. The disadvantage for the Estate as with modern leaseholds, was that the leaseholder had complete control on the property and many were not repaired when necessary leading to collapse and demolition. The nominated “lives” on Sarah Pinn’s house were Mrs Eliza Potbury ne Pinn age 57, Hannah Pinn 48 and Mrs.Susanna Rugg ne Pinn age 33, widow of William Rugg. 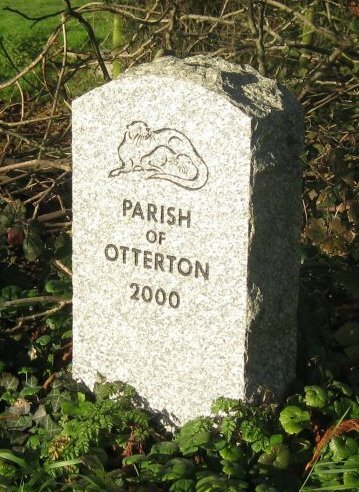 The Pinn family had lived in Otterton Parish at least since 1524 and farmed at the hamlet which takes their name. The Rugg’s were the main blacksmiths in the village having originally come from East Budleigh (there in 1570’s) By 1779 they had their Smithy at Crosstrees. Mrs Sarah Pinn was living in Rosemary Cottage in 1734 and from 1753 to 1763 she with Mrs Elizabeth Potbury, probably her daughter were holding a license to sell ale there. By 1794 Mrs Potbury is holding the freehold of Rosemary Cottage. Mrs Sarah Pinn probably took the lease and had the original “Brook Villas” built about the 1770’s. It was probably as a typical 18th.century small farmhouse. The 1/- pa rent suggests this. The Pinns gave up the lease in 1813 and Isaac Skinner took it on, now at 3/-pa . 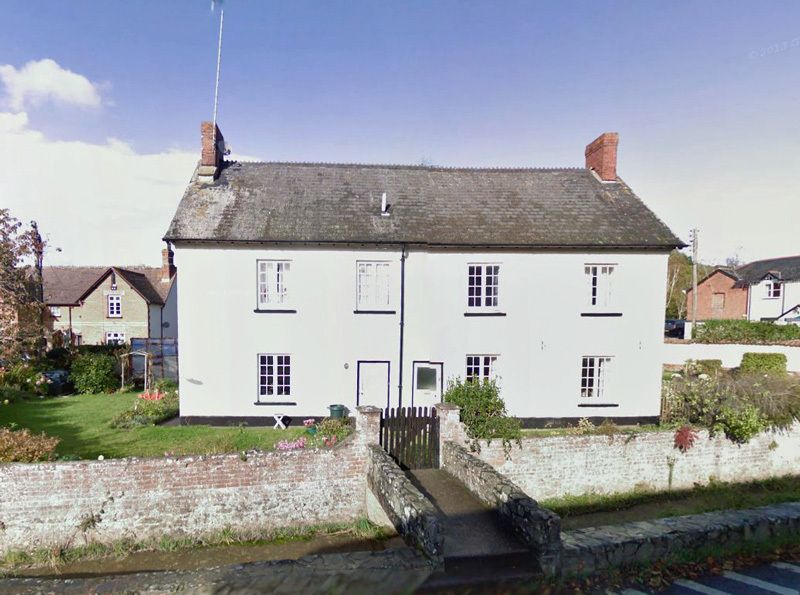 He was a leading farmer in the village with his farm in Ottery Street, now The Barn, then known as Elliotts. 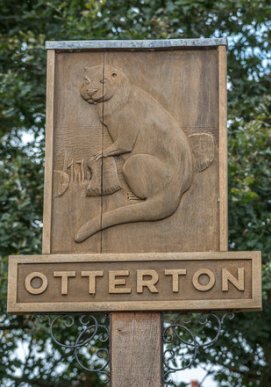 He held a number of leases in Otterton on cottages. The 1843/6 Tithe shows Elizabeth Burrows as tenant in “Brook Villas”. She was a daughter of Isaac Skinner and had married James Burrows in 1836, who presumably had died before 1843. The Skinner family held the lease until the 1890’s. At some time between the 1830’s and the 1890’s “Brook Villas” was renovated to its present size and converted to two houses. This could have been during the 1830’s when the “Banks” were built in Ottery Street to cope with the increase in population. ( It rose from 900 in 1790 to 1250 in 1851). The 1911 Survey lists No.66 tenant John Larcombe, No.68 Mrs.E.Drake. John Larcombe had been appointed Station Master of East Budleigh Station on the newly opened London & South Western Railway line from Tipton St. Johns to Budleigh Salterton in 1897. By 1911 he had retired with wife Matilda to No. 66.